A leading bank in India has set up a facility to allow users to transfer money on Twitter. ICICI Bank is one of the four largest banks in India and the second biggest overall in terms of assets. 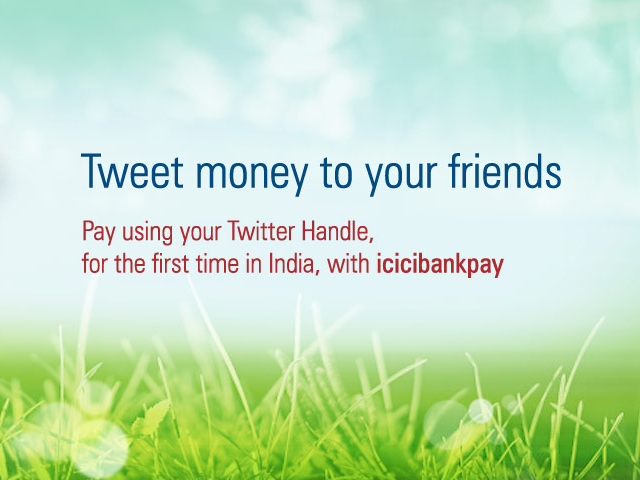 This week they have launched #icicibankpay, a new service that allows customers to send money via Twitter. Users simply need to follow @icicibank on Twitter, connect their profile and then send them a direct message with the recipient’s username and the amount to be sent. The recipient does not need to bank with ICICI. The service can also be used to top up mobile phones and check account balances. While ICICI are the first bank to offer this service in India, back in October the French bank Groupe BPCE launched a similar way to send money via Twitter.